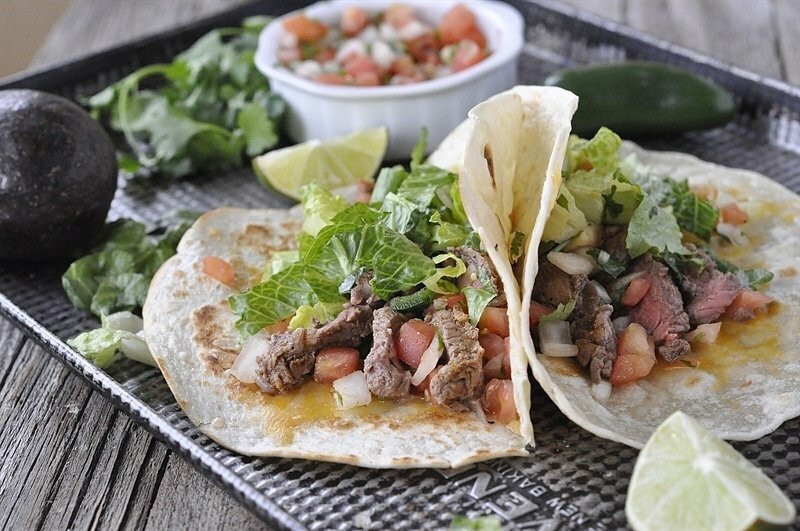 These Costa Vida Steak Tacos aren’t a copycat recipe at all. They are the real deal, because I got the recipe from Costa Vida itself! I make a lot of trips to Utah to visit family. One requirement of every trip is either a trip to Costa Vida. So I was so excited when I was invited to a blogger night at Costa Vida. 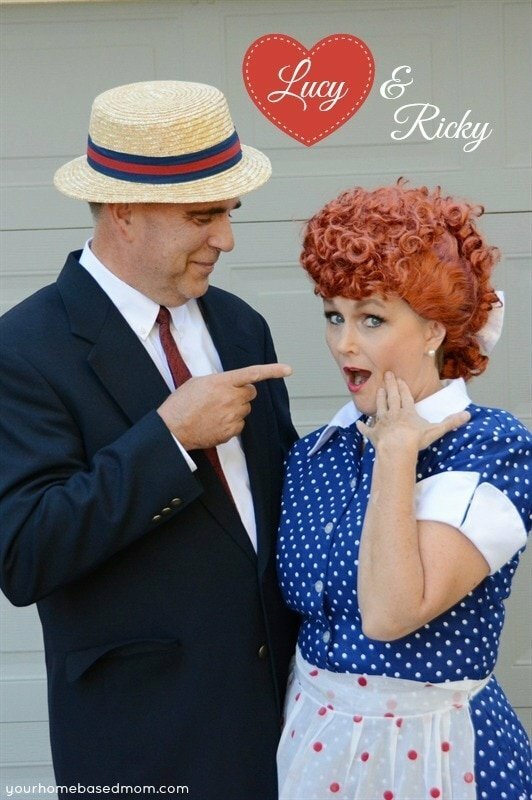 I didn’t have to go to Utah for this event because it was just across the river in Vancouver, Washington. I was so excited to learn we had a Costa Vida so close to home!!! It was a fun evening where we learned all about Costa Vida, their commitment to good food and fresh ingredients. They basically make everything, including their delicious desserts on site. 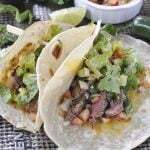 We got to assemble our own tacos, including their sweet pork, grilled chicken and my favorite, their steak tacos! The best part? They sent us home with some of the recipes!! 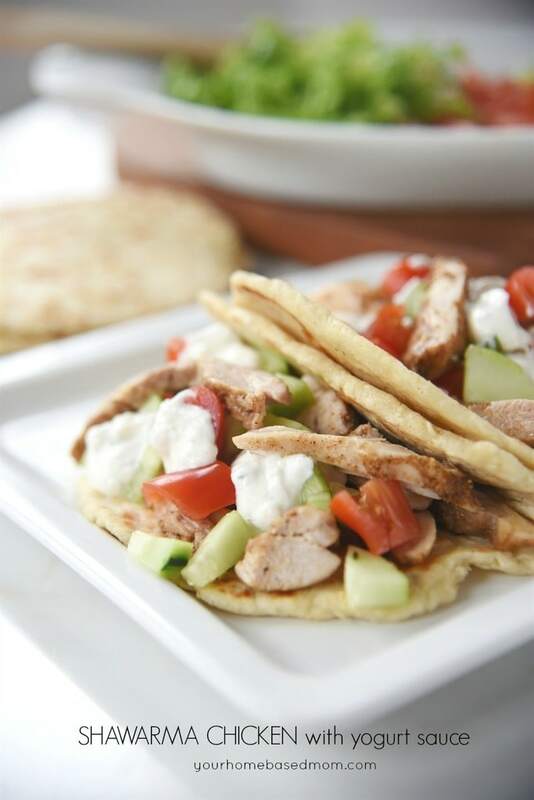 I couldn’t wait to try them out at home and they are just as delicious when I make them at home as when I had them in the restaurant. Score! I have a recipe for the sweet pork already on the blog that you can check out to. 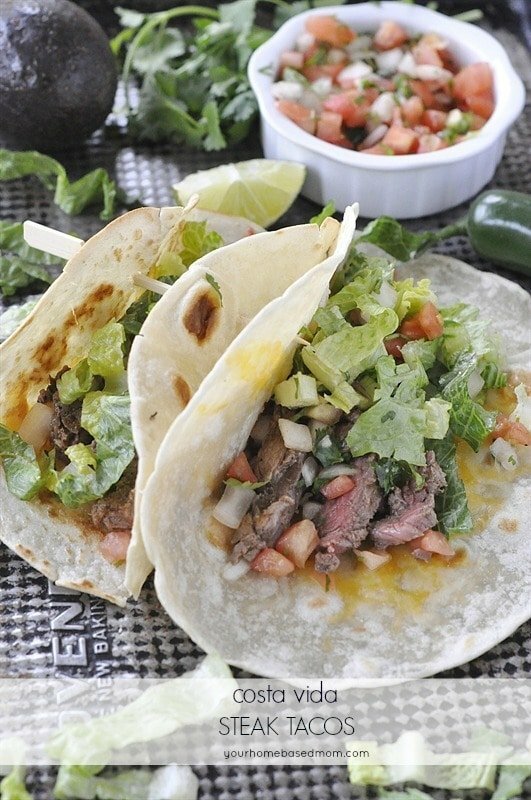 So today, you get the recipe for my personal favorite, Costa Vida Copycat Steak Tacos. 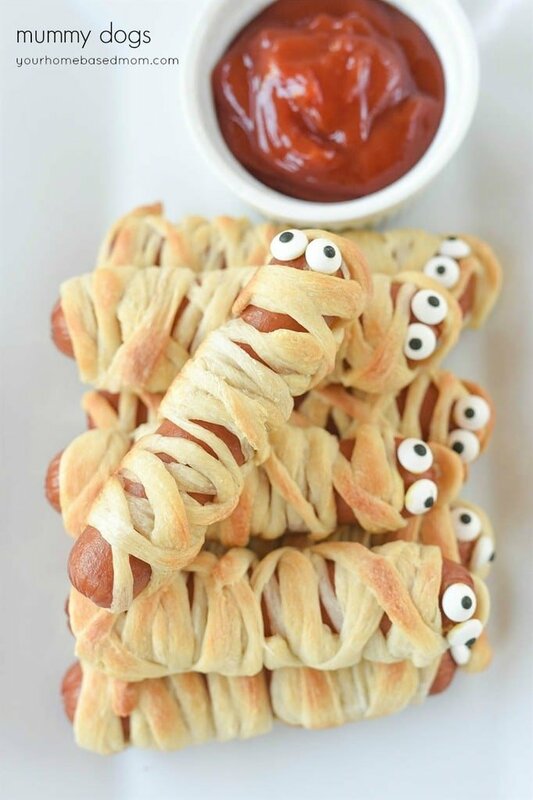 Besides being delicious, they are super easy to make at home. I used sirloin steak and I highly recommend it. The steak is marinaded in a mixture of olive oil, garlic, salt, cumin, chili powder, and jalapeño. The meat is tender and full of amazing flavor. I grilled the meat on my BBQ but you could use a grill pan inside as well. Be sure to not overcook the meat. I cooked ours to medium, you want some pink in the middle, it makes the meat more tender. The other part of the Costa Vida taco that I love is the tortilla. They make their tortillas fresh all day long. The best and easiest way I have found to duplicate that at home is to buy the uncooked flour tortillas at the grocery store. They also carry them at Costco. At Costa Vida they make the flour tortilla and then top it with some cheese and put the tortilla in the oven to melt the cheese, so that’s what I did too. I used a Mexican cheese blend. 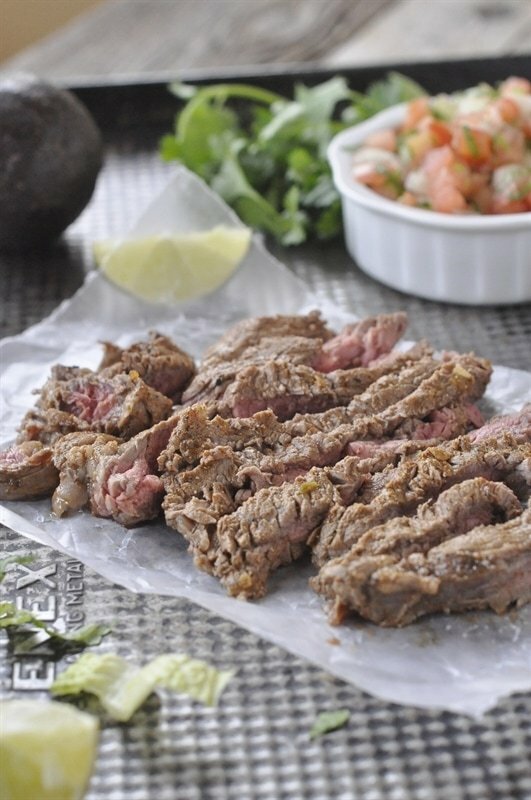 Then just top the tortilla with your steak. I also added some chopped lettuce and some pico. At Costa Vida they use a Honey Habanero Salsa. 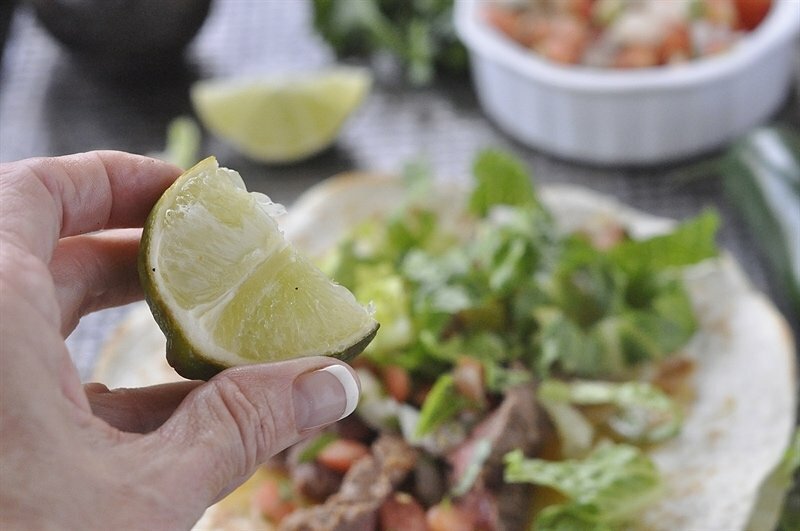 Then the final touch is to give the taco a squeeze of fresh lime juice. Don’t skip this part because it really makes a difference and enhances all the flavors you have. I love these tacos! They taste just like the real thing! 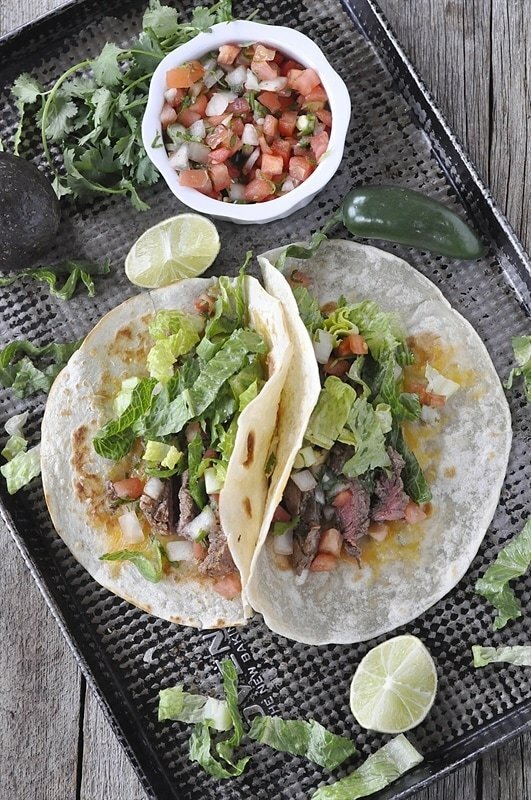 If you love Costa Vida Steak Tacos, this is the actual recipe they use! They gave it to me! Combine all the ingredeitns, except the steak in a zippered plastic bag. Combine well. Add steak to mixture and make sure all pieces are well coated. Marinade in the refrigerator for at least 2 hours. Let rest and then slice meat against the grain. 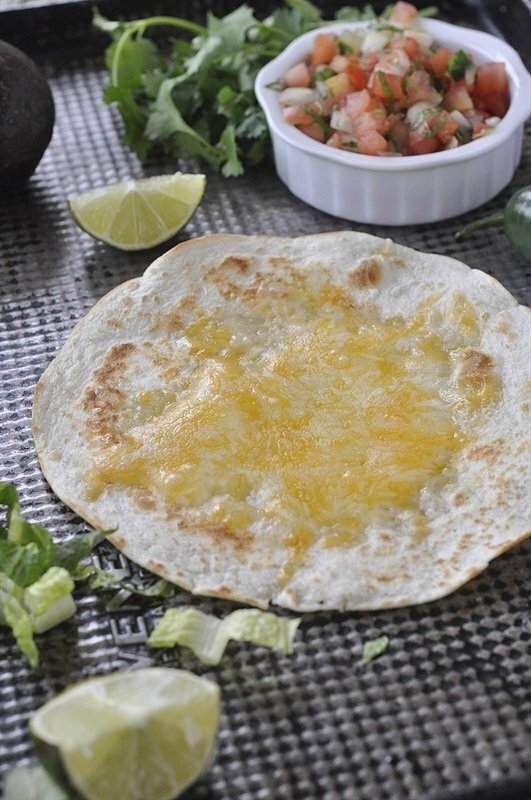 Cook flour tortillas and sprinkle with Mexican Blend Cheese and put in oven to melt cheese. 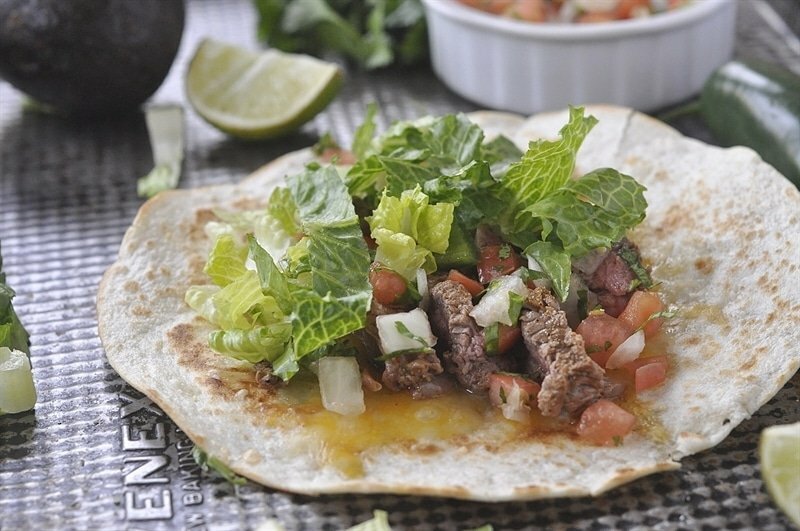 Top with meat, lettuce and pico or salsa. Squeeze fresh lime juice over the top. Thanks!! These look amazing!! We don’t have Cafe Rio in NV either, and I always hear about how good it is. 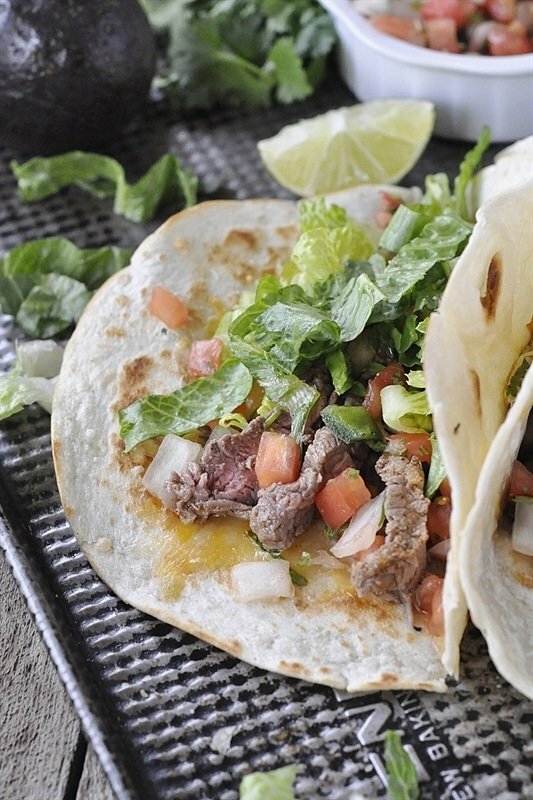 I’ve never bought those uncooked flour tortillas at Costco ~ although I’ve thought about it! Would you tell me if they freeze well and how to freeze them ~ if you’ve done that. Thanks! Karen, They freeze great. I just freeze them in the packaging they come in. Thank you for this recipe it looks like a winner for Super Bowl.